VYH 698 Normal series since 2015. No coding. VYH 698 Close-up of the above. 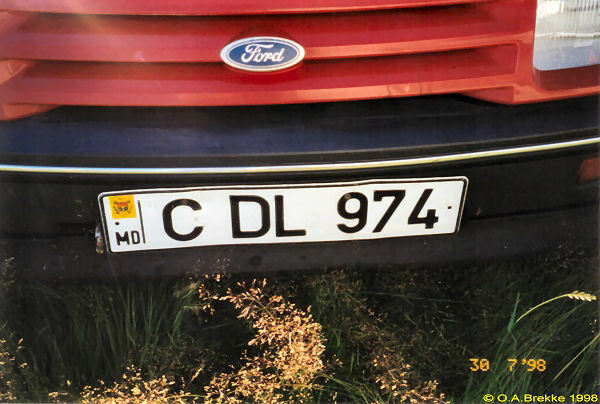 C DL 974 Normal series 1992-2015. The country code was changed in 1993 from MLD to MD. 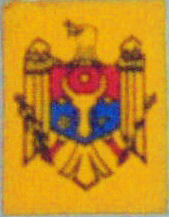 1992-95 style coat-of-arms Yellow coat-of-arms sticker in use 1992-95. 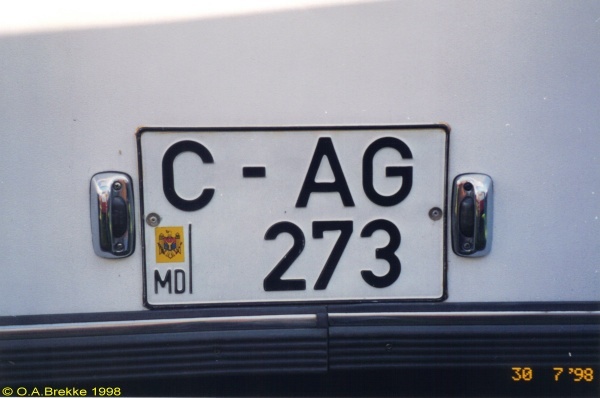 C-AG/273 Trailer series 1992-2009. The country code was changed in 1993 from MLD to MD. 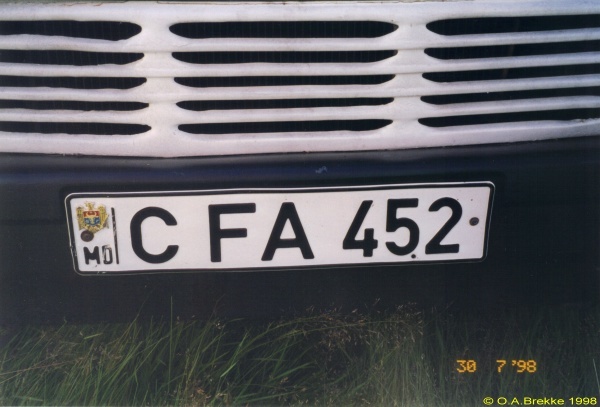 C FA 452 Normal series 1992-2015. 1995-2011 style coat-of-arms. 1995-2011 plate style. 1995-2011 style coat-of-arms The coat-of-arms in use 1995-2011. 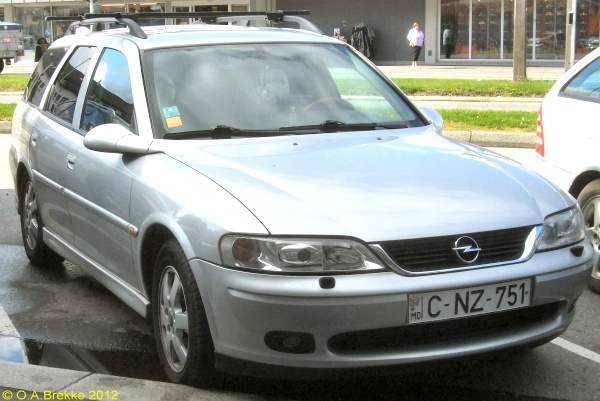 C NZ 751 Normal series 1992-2015. 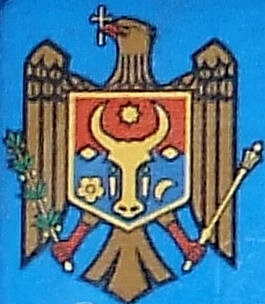 1995-2011 style coat-of-arms. 1995-2011 plate style. C = Chisinau. With the unofficial addition of two hyphens. C NZ 751 Close-up of the above. 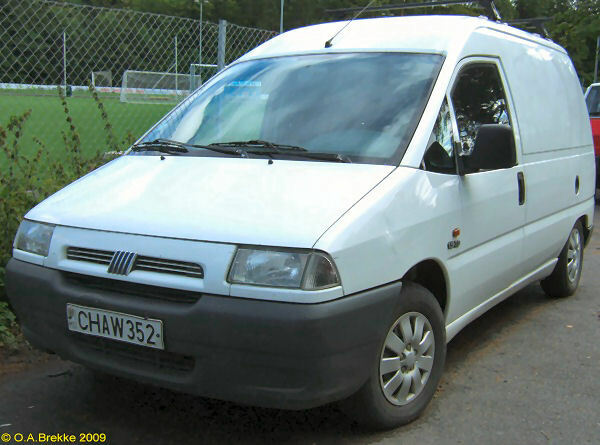 CH AW 352 Normal series 1992-2015. 1995-2011 style coat-of-arms. 1995-2011 plate style. CH AW 352 Close-up of the above. 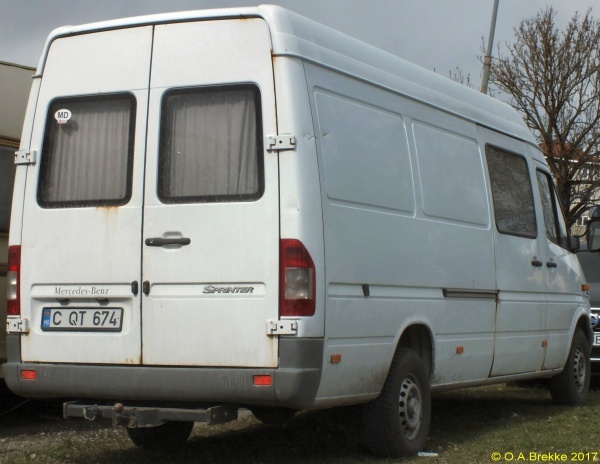 C QT 674 Normal series 1992-2015. 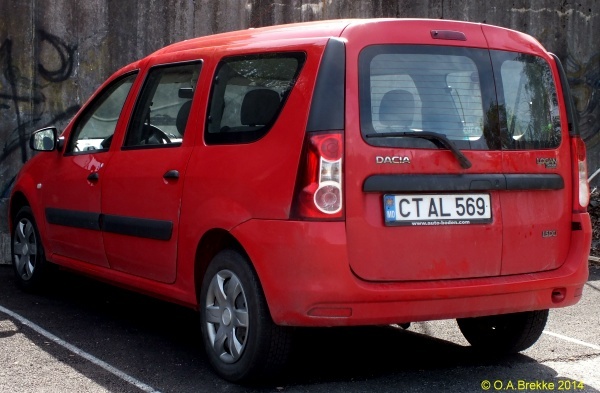 2011-15 plate style. C = Chisinau. C QT 674 Close-up of the above. 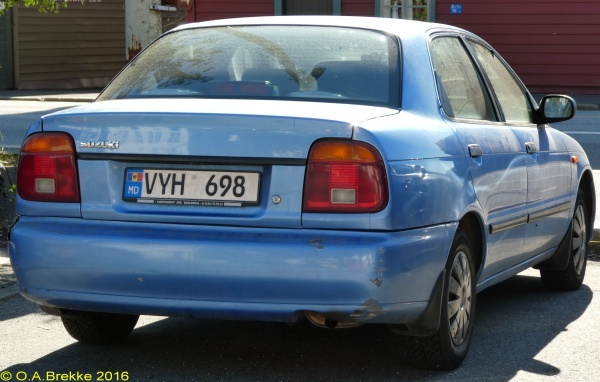 CT AL 569 Normal series 1992-2015. 2011-15 plate style. CT = Cantemir. CT AL 569 Close-up of the above. 2011-15 style coat-of-arms Coat-of-arms in use 2011-15. 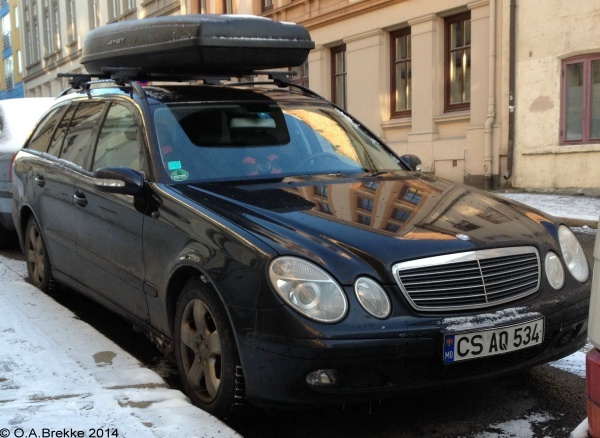 CS AQ 534 Normal series 1992-2015. 2011-15 plate style. CS = Căuşeni. CS AQ 534 Close-up of the above.